Rebel Rapture Music Pack | Create Your Own Game! From spiritual to epic, there's something for everyone in this versatile new pack. Inspired by some of the most beloved orchestral theme, Rebel Rapture draws on the power of voices to deliver an incredible musical medley. 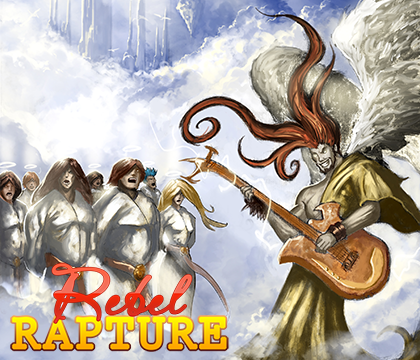 Whether you're looking for a spiritual theme to give your churches a feeling of awe, or want that epic boss theme, Rebel Rapture is the pack for you! In addition to choir themes, this pack also features instrumental orchestral pieces that will find a cozy home in your projects. Epic orchestral themes suitable for battles or intense encounters. Classic and spiritual choir themes suitable for religious, mystical or forbidden places. .mp3, .ogg and .wav formats included.